Western Australia is loaded with great activities, beautiful drives and stunning coastlines. We’ve wanted to make it down under for years and the more we research, the more excited we get about a road trip around Western Australia. We’ve always wanted to drive a campervan across Australia but we just don’t know when it will end up happening. Surely one of the best places for a road trip is the stunning west coast. We’re not sure exactly how this portion of our trip would go yet, but after plenty of time researching online we have a pretty good idea of where we want to visit. Of course we will need to make more pitstops than we have planned thus far, and that’s where our readers come in. If you can help us out, please comment below! 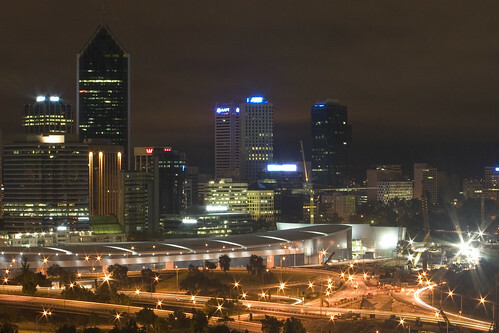 Our epic Australian road trip will probably start here in the capital and the largest city in the Western Australia State. There’s plenty to do in this bustling city of 1.6 million and we’re thinking we may fly directly here and rent a car or a motorhome to start our adventure. Many people opt to get a campervan and head off the beaten track. We’ve heard that it’s easy to pick up a campervan in Perth and after we’ve got that figured out, we can explore the city a bit. We’ll head to some of the city’s top parks like Bold Park, King’s Park and Lake Monger and probably take the vehicle for a day trip to one of the attractions outside of town. For sure we’ll have to check out Swan Valley in the hills and do some wine tastings. Some of our favourite grapes are grown in Australia! After leaving the capital behind, we’ll most likely head to Coral Bay. Renowned for the Ningaloo reef, Australia’s only fringing reef. Here, Dariece and I can get out of the car and hit the waters. We both love snorkelling and hopefully I could get a few dives in before moving on. If we’re here around late March, we may even be able to see some Whale Sharks that frequent these shores around that time! After swimming with the fishes, we could hop back in the car and head to this massive wilderness park. The park encompasses an area of over 1,000,000 acres (4,047 km2) that extends some 80 kilometres (50 mi) into the heart of the Kimberley. 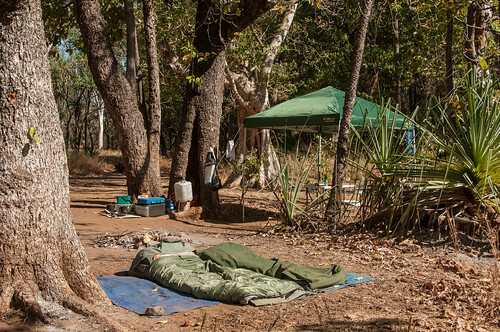 There are a few resorts here where we could stay or we may even be able to find some camping if we get far enough off the beaten path. We’re most excited for the El Questro Gorge Waterfall which looks stunning. After our hike through Samaria Gorge in Greece, we’re definitely interested in El Questro. Our final stop before Darwin, Kununnurra will be the perfect place to get out our hiking shoes and explore the majestic natural attractions in the rugged surrounding landscape. Well known places like Lake Argyle and Kelly’s Knob (a funny name) will definitely be on our hiking trails here. If we’re not tired of falling water by this point, we’d love to see Black Rock Falls, especially if we’re here in the wet season. Probably our final stop on our epic Western Australian road trip. Darwin is made up of people from more than 50 cultures and we’re excited to meet indigenous, local and expat people in this thriving city. There are plenty of historical sites to see here and we’re definitely excited to learn a bit about the Darwinian history. We’ll check out the wharf precinct and the war cemetery and head out on the town for an evening out. Darwin has plenty of nightlife so we may need an extra day of relaxation after the party. 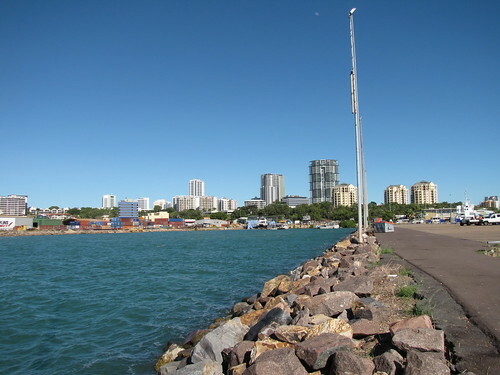 There are also plenty of natural attractions around Darwin and we’ve read that you can even do a crocodile cruise here! Definitely something we’d be into. To get a taste of the mix of cultures here, we’ll try to time our visit for the Darwin Festival. The festival includes everything from free outdoor events to theatre, dance, music, cabaret, films, workshops and comedy, not to mention the sensational regional cuisine. So When Will We Go? We can’t really say yet. Right now we’re loving the culture and vibe of Mexico and after we leave here we’ll be heading down south to our Caribbean Island getaway. But Australia is definitely on our itinerary sometime in the near future and we can’t wait to get further into the planning process for our Western Australian Road Trip! Surely we’ve missed plenty of destinations and activities. Please help us out with a comment below!